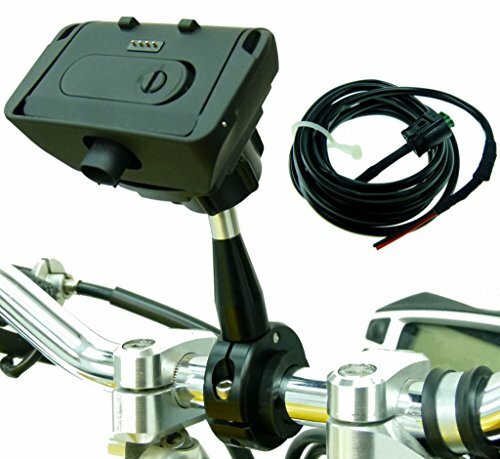 Powers your GPS when used with the TomTom Rider battery cable included. Stylish metal handlebar mount, machined in aluminium with a smooth, quality matt black finish & BuyBits exclusive Rider holder & charging cable. Complete mount bundle - Includes a genuine TomTom Rider power charging cable, mount & BuyBits dock holder.